Yellow is Forbidden is at the NZ International Film Festival in Auckland and 12 other locations. If you are in Auckland – at the first two NZIFF screenings (both Civic Theatre) screenings will be followed by a Q+A in the Wintergarden. By Rosie Herdman Note: Includes a podcast. Our picks from this year’s New Zealand International Film Festival line up Denizen. From New Zealand director Pietra Brettkelly, this documentary explores the luxurious world of Chinese designer Guo Pei (best known for designing the yellow dress Rihanna wore to the Met Gala in 2015) as she strives to be recognised by the gate-keepers of haute couture and prepares for her Paris debut. For screenings and tickets, click here. “Brettkelly’s deliciously intimate film…a near visceral experience” Sydney Morning Herald. The Fashion X Cinema line-up includes documentaries and feature films in which clothes help tell the tale. Other NZ International Film Festival locations. Read more about Yellow is Forbidden. In Wellington Yellow is Forbidden Christchurch Yellow is Forbidden . Dunedin Yellow is Forbidden plus 9 other towns and cities. En route to my film’s last screening at Tribeca Film Festival in New York I walked through the spring of Central Park. And a little boy came to show me the mosquito he’d caught, in a jar, that he was feeding a tulip flower. 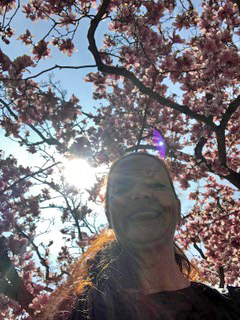 I asked him to take my photo with the blossoms. And while his skills being able to capture alive other species is questionable, I think the kid has a certain appreciation of chiaroscuro as you see in the photo attached…. And now in the beauty of home, an autumn swim and distilling the last month of YELLOW IS FORBIDDEN’s world premier, then Hotdocs Documentary Film Festival Toronto, my genre home and then to the inspirational and crazy Cannes Film Festival. 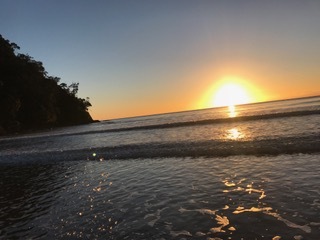 It has been magical and I thank you all truly for your enthusiasm for my film, your kindness to me and your dedication to helping me continue in this extraordinary filmic life. Tribeca Film FestivalA radio interview today. A profile story has been published in the September- October 2017 issue of Metro. Here are the introductory paragraphs. To read the full story click here or on link at the bottom. Film-maker Pietra Brettkelly travels the globe, surmounting financial and other obstacles to make her documentaries. She tells Metro about refusing to compromise, her new film – and why she wants to hang out with the Pope. 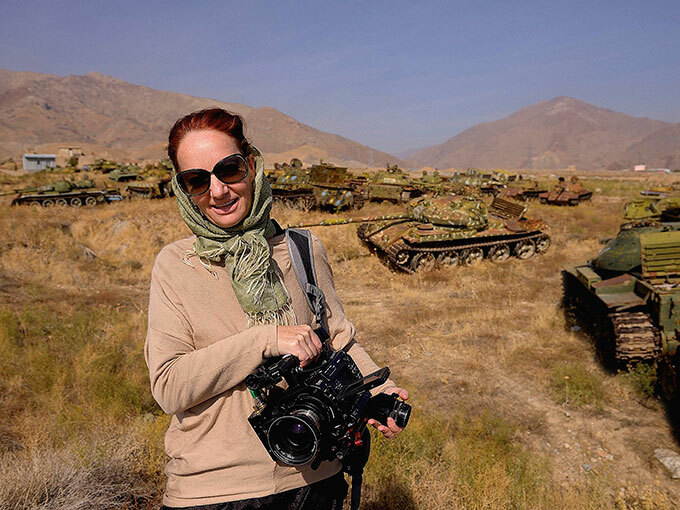 Pietra Brettkelly in Afghanistan filming A Flickering Truth. Photo/ Jacob Bryant. Hers is not a nine-to-five job. She doesn’t want that kind of life. She wants a life that is unpredictable and adventurous and has a sense of discovery attached to it the whole time. That is the life Pietra Brettkelly has always wanted. Typically, her documentaries take years to make. For the last one, A Flickering Truth, she travelled to Afghanistan seven times during the two years and seven months of filming. ‘Yellow is Forbidden’ is in post production now. Radio New Zealand featured the film over the weekend. Listen below. YELLOW IS FORBIDDEN was an extraordinary film to shoot and edit. As with any creative venture, there must be difficulty – ha! – and that has been in the funding. I’ve managed to raise nearly half the budget, but I need your help to cover the fine cut of the film, the composer, archive, colour grade, sound mix and deferred fees. The great thing about Boosted is that NZ donors can claim 33% back on their tax return. So if you give $100 you can claim $33 back! I’m needing more than $20,000 but am truly grateful for anything. Boosted is an all-or-nothing platform meaning that if I don’t reach the target of $20,000 in 30 days your donation will be refunded. My overseas friends, Boosted is in New Zealand dollars – $1NZ equates to about .75US cents. But if you would like to donate US$1000 or more let me know as there is a similar US charitable organisation that operates for such donations. Note: PROJECT STATUS: SUCCESSFUL $22,725.00 OF $20,000.00 by 98 DONORS. Thanks everyone.